This is not an article about trail-building techniques. Let's get that out of the way, right off the bat. We're not discussing your opinions on modern flow trails, sustainable trail building, or whether your favorite fall-line erosion gully should or shouldn't be re-routed. It’s not about rock armoring, or whether that fallen tree you can ride but your buddies can’t should be chainsawed out of the way. It’s not about whether your town needs more beginner-level mountain bike trails or more expert ones. No... this is an article about something else. Essentially, it's about an act of vandalism. 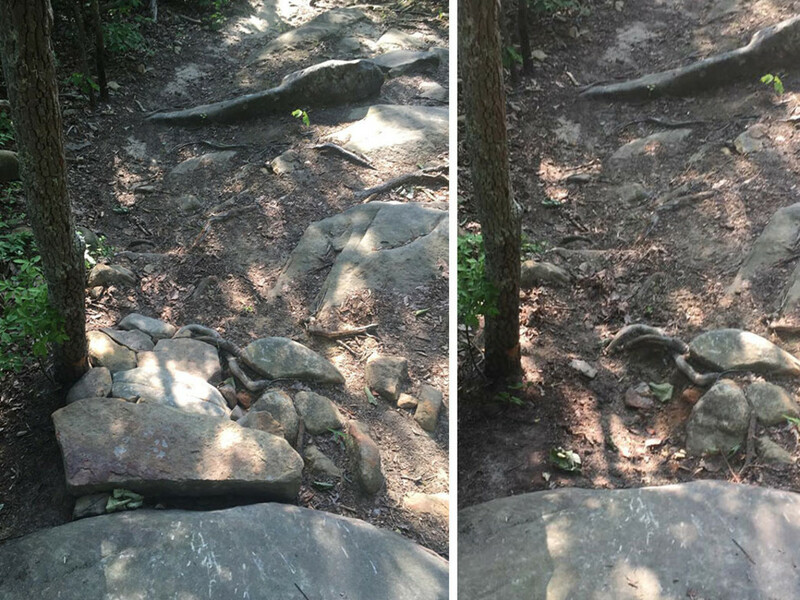 This rock feature, a difficult step-up in the opposite direction, was altered with a "ramp" of smaller rocks. It has been returned to its original state. The scene of the crime, in this case, is the section of Georgia's Pinhoti Trail which wanders along the ridgeline of Dug Mountain, just above Dalton, GA. This 6-mile stretch of singletrack, which winds its way up the ridgeline of Middle Mountain before crossing Hurricane Mountain and tracing the rugged spine of Dug Mountain to a set of radio towers, is notoriously rocky and difficult. All of those jumbled rock piles are rideable, though some are indeed extremely difficult for most of us mortals, and the trail itself flows wonderfully along the very top of the mountain. It’s the section of the classic Snake Creek Gap TT course that racers remember afterward; the teeth of the snake, if you will. 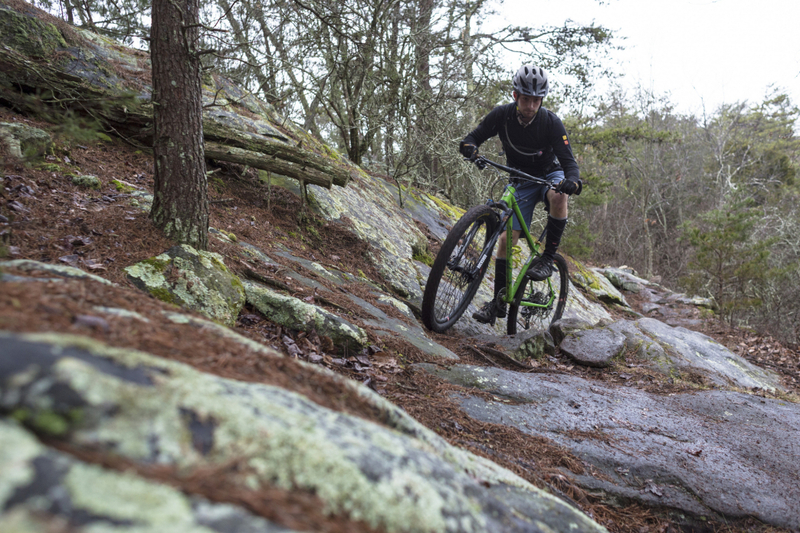 It easily made our list of the most technical mountain biking trails near Chattanooga, and it's a popular ride for expert riders in the Chattanooga area. Oh—and it’s really, really fun to ride bikes on. Imagine our disgust, then, when the reports and photos came in: large rocks had been moved out of the middle of rock gardens in some places, smaller ones stacked to form ramps in others. The mountain’s most imposing obstacles had been mitigated in ways that made them easier to ride. We're not talking about kicking a few loose stones out of the way; these are the kind of modifications that would require at least a couple of people to execute. To be clear: this isn’t authorized trail work, nor is it a good samaritan recognizing a drainage problem or clearing a deadfall. It’s a concerted, intentional effort to dumb down the skill level required to ride the trickiest spots on this stretch of trail. An effort by who, though? That, my friends, is the mystery. It’s a multi-use trail, but hikers and equestrians certainly aren’t in the habit of altering trails in order to increase the speeds mountain bikers can carry through a narrow section of ridgeline—nor do any of these features pose a hazard to either user group. It’s fairly safe to say that mountain bikers are making these changes. Inexperienced riders who can’t ride the rocks are sick of it and have decided to get rid of them once and for all. Someone who thinks the trail is dangerous, and truly believes they’re doing the world a favor by making the trail “safer” for riders of differing ability levels. Some kind of Strava-obsessed maniacs, looking to shave 3 seconds off of their personal best on this trail, or someone who really wants to PR Snake Creek Gap this year. What do these guesses have in common? People who think the world revolves around them and all outdoor experiences should suit their specific interests and needs, I guess. That or people who hate fun. While the motives may vary, the end result is the same: a person or group has decided that they have the right to change the trail in order to suit their own vision of what it should be, without consulting the community at-large. "Every trail has its own character. Some days you want to cruise something smooth. Some days you want to plunge into a trail that’s a bit more demanding. Variety, as the old saw goes, is the spice of life. When some wannabe Boy Scout decides to help the rest of us by making every trail mundane, he robs us of choice and degrades the mountain biking experience for everyone." I still remember the first time I rode “Dughoti” with friends. I was off the bike a couple dozen times to walk over something scary-looking, and I was upside down in the woods at least once. It was a humbling experience. Being humbled, though, is part of mountain biking. Over the years since, as I’ve slowly improved, I’ve come closer and closer to being able to clean that whole ridgeline, never quite pulling it off but a little nearer to it with each try. One day soon, it would be mine. Now, though, I’ll never have the satisfaction of the achievement, because the trail itself has been forever changed. “Degrades the mountain biking experiences for everyone,” indeed. "While it can be great fun to hit a purpose-built mountain bike trail specially designed to maximize and maintain flow, there’s a special satisfaction that comes with cleaning that craggy old bike-hostile trail with the inconvenient root garden and the super-tight, v-shaped switchbacks with rock drops right at the crux of the turns." 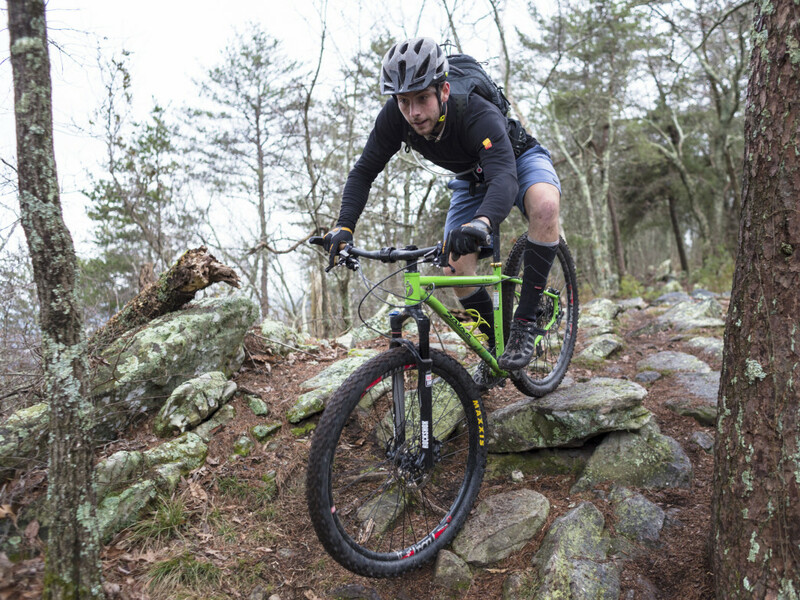 While the author is discussing the homogenization of mountain bike trails in general—and the misinterpretation that “sustainable” should mean standardized and often designed to favor less-skilled riders—the sentiment applies to trails like the Pinhoti. This is much of the appeal of popular mountain biking areas like the Pisgah National Forest, too, where the trails are old, jagged, and packed with interesting challenges. This kind of trail is something people want to ride. 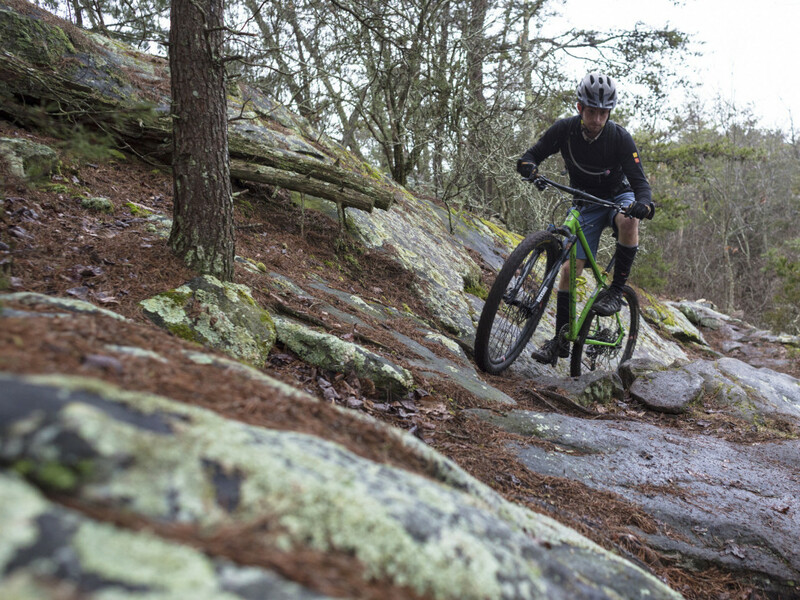 We’re seeing it happen to several other trails in the Chattanooga area, too, including the classic “Megawatt” on Raccoon Mountain. I suspect this is happening in many places, and I understand that not everyone can ride everything. Neither can I. Since when, though, do people assume that they should be able to ride every trail and every technical obstacle on it? Is this simply cultural? Are some mountain bikers just narcissistic enough to believe that they have the right to tailor public trails to suit their own skills? Since I think we may also assume that the culprits here aren't active members of the mountain biking community, and are acting on their own, it's relatively pointless to bemoan these actions on message forums or Facebook groups. We can hang up signs that tell riders not to alter trail features, but I find it difficult to believe that these saboteurs simply don't know any better. We could put up trail cameras and try to catch them in the act... but what, then? In that light, I’ll end with a question, one I’d really like to hear opinions on in the comments section: How do we stop it? How do we save our favorite trails from this kind of destruction?